Norwich, UK (October 23, 2018) - A major grant to fund curiosity-driven research into plant communication has been awarded to a John Innes Centre researcher and colleagues from two European institutes. 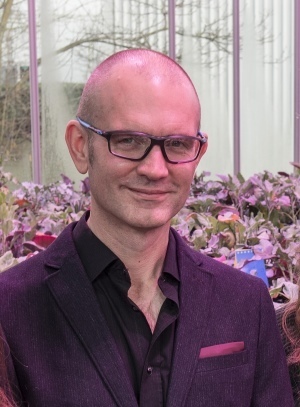 Professor Richard Morris, program leader in plant health at the John Innes Centre, is part of an interdisciplinary team which includes Dr Friedrich Kragler from the Max Planck Institute of Molecular Plant Physiology in Potsdam, Germany, and Professor Julia Kehr from the University of Hamburg. The philosophy of the ERC Synergy program is simple, says Morris, “They encourage researchers from different disciplines to come together think freely and develop a research programme ‘bottom up’ following their curiosity. “This grant will be game-changing for my interest in biological information processing in that it brings together leading groups from across Europe in the areas of cell biology, protein biochemistry and mathematical modelling to unravel the mechanisms of RNA-based communication. This funding gives us the freedom to build and develop truly interdisciplinary research teams and train the next generation of researchers. It’s very exciting,” he says. “This is blue skies science that will shed light on how plant cells can talk to one another over long distances to co-ordinate development,” he says. The grants are part of the EU's research and innovation program, Horizon 2020.